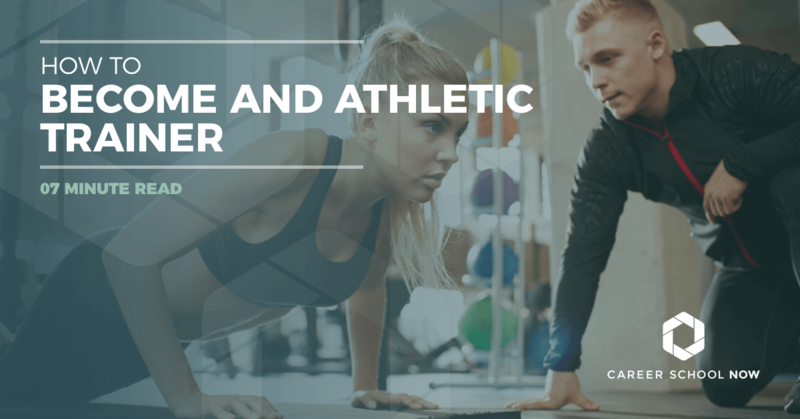 Athletic training is a comprehensive allied healthcare profession that covers the prevention, examination, diagnosis, treatment, and rehabilitation of chronic and acute injuries, as well as certain medical conditions. Athletic training has been recognized as a healthcare profession since 1991 by the American Medical Association (AMA). The five listed domains of athletic training are injury and illness prevention and wellness promotion, examination, assessment, and diagnosis, immediate and emergency care, therapeutic intervention, health care administration and professional responsibility. Athletic trainers are prominent members of the medical team within multiple professional settings. Typically, in the event of an injury, the athletic trainer is the first one to respond to the scene. They collaborate with physicians and other healthcare providers to discuss the best treatment option path to follow for their patient. Anyone, from any age and background, can be under the care of an athletic trainer. Athletic trainers specialize in the prevention and treatment of bone and muscle diseases and injuries. Interpersonal skills: One of the essential qualities of a great athletic trainer is the ability to get along with everybody, from the patient to the medical team. They know how to listen without interrupting. And, they know how to effectively communicate. Successful athletic trainers know how to create and maintain positive rapport. Decisive: Often, an athletic trainer may find themselves first responders at the scene of an injury. They are the ones that have to think quick and do the initial decision-making. A good athletic trainer has the confidence to be decisive keeping in mind that their decisions directly impact the patient’s potential outcome. Empathetic: Working as an athletic trainer, you are in contact with people in varying amounts of pain. Keeping that fact in mind while treating the patient is imperative. Detail-oriented: To make sure the patient is progressing positively, athletic trainers must keep track of and notice everything so that it’s documented. They also need to pay attention to ensure they are using the right treatment or if they need to adjust accordingly. To work as an athletic trainer, you must have at least a Bachelor of Science in Athletic Training from an accredited educational institution. The program’s accreditation should come from the Commission on Accreditation of Athletic Training Education (CAATE). Graduating from a non-accredited program could prevent you from being eligible for certification, which would negatively impact your hireability. A Bachelor of Science in Athletic Training will include course subjects such as the science of human movement, first aid and emergency care, anatomy and physiology, and injury and illness prevention. The hands-on clinical portion will usually be supervised by a highly experienced athletic trainer. It takes four years to complete a bachelor’s degree if you attend college full time. A Master’s of Science in Athletic Training has two different programs. For those who didn’t receive a Bachelor’s of Science in Athletic Training which would be more of an entry level program. The other is the advanced masters for those who received the BA in Athletic Training and have the Athletic Training Certificate (ATC). Classes in this program will include higher level courses, athletic training administration, therapeutic exercise, and educational research statistics. An additional two years of study is all it takes to get a Master’s of Science in Athletic Training. Going to university can get costly, to be certain. It’s a significant investment but for an excellent reason. Your future! Costs for a Bachelor of Science in Athletic training crosses the gamut. The average for in-state tuition is in the $20K range annually. For out-of-state tuition, it can run well over $35K per year which could bring tuition totals teetering on $100K or more for the full four years. Of course, every college and university across the nation has their own set tuition, with some being more affordable than others. Here is a pretty comprehensive tuition guide which covers many colleges and universities around the country that have athletic training programs. When looking at college tuition, you have to also keep in mind that there are other costs in addition to the tuition. For example, room and board, books, class supplies, and other living expenses. To offset tuition, financial aid in the form of grants, scholarships, and loans are available. To find out the first steps to take to get financial aid, please check out this article. Professional Football Athletic Trainers Society offers 4-$2000 scholarships to athletic training students. The application deadline is February of each year. Jack Cramer Scholarship application is due in December of each year. This scholarship is awarded to a high school senior who is planning on pursuing a Bachelor’s of Science in Athletic Training. The NATA Research and Education Foundation offers a variety of scholarships for students going into and currently enrolled in accredited athletic training programs. Tylenol Future Care Scholarships has been giving scholarships to students heading into healthcare professions. Makes sense that the makers of pain relief is helping those whose dream is to relieve the pain of others. They’ve given over 8 million dollars since they started the scholarship over 20 years ago. American College of Sports Medicine is the largest sports medicine and exercise science organization in the world. They offer many scholarships for students starting their educational path toward sports medicine and exercise science, which includes athletic training. The Bureau of Labor Statistics reports the median annual salary for athletic trainers is $45,630. Entry-level athletic trainers will earn an average of $30,300 while the top 10% will make over $69K on average per year. Most athletic trainers work full-time positions. Athletic trainers working with sports teams may have irregular hours and may have to travel often. Through 2026, the job outlook for athletic trainers is looking to be fantastic with a 22 percent expected growth. Due to all the research being conducted on the effects of concussions, more athletic trainers are being employed at sports sites, public schools, and anywhere sports teams compete. Also, the aging population can lead to more personal injuries that require the expertise of an athletic trainer. Athletic trainers who have a degree from an accredited school, along with the proper certifications from the Board of Certification for Athletic Trainers will be more likely to find employment. Certification is required for athletic trainers. Requirements for certification varies by state. There are strict guidelines that must be adhered to in order to keep their certification active. Cannon Bldg, Suite 203, 861 Silver Lake Blvd.